Hybrid meat hauler and Backpack. 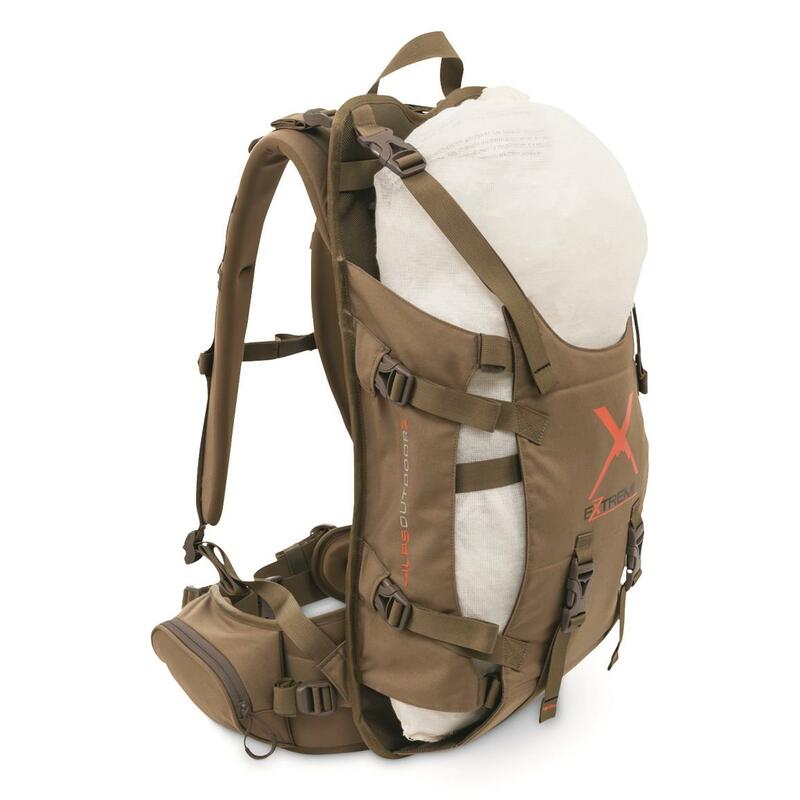 Frame and Pack combined weight: 6 lbs. 3 oz. 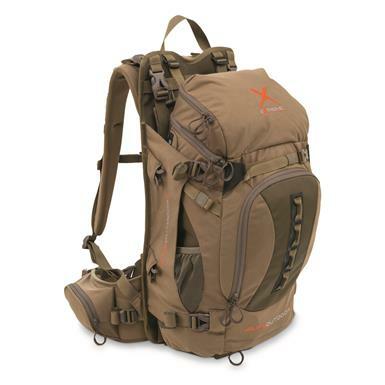 The ALPS OutdoorZ® Hybrid X Hunting Pack is an extreme Backpack for the extreme hunter. 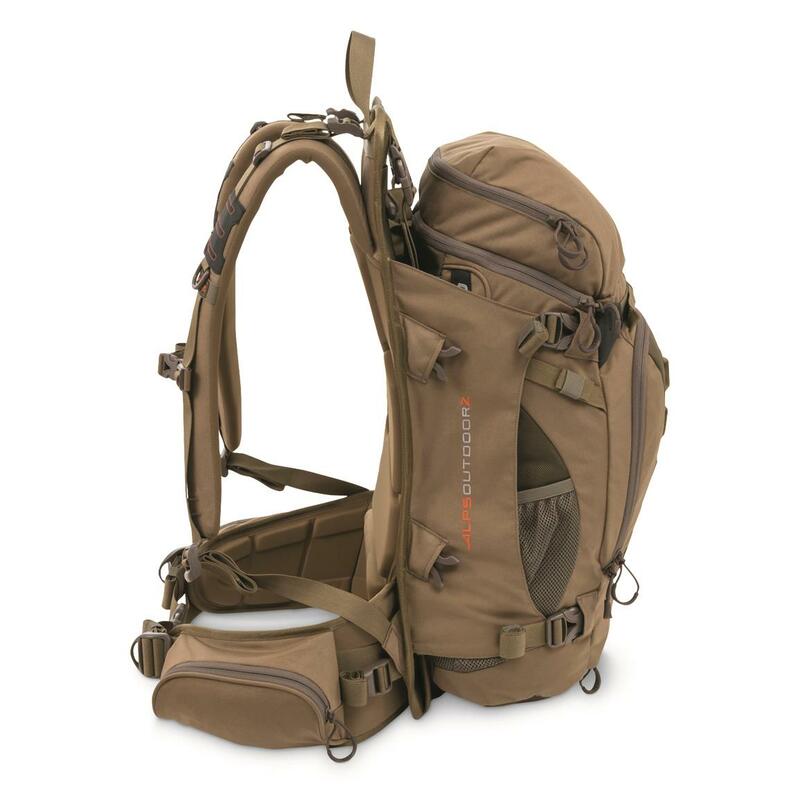 This hybrid meat hauler/Backpack makes for versatile use in backcountry hunting scenarios that require easily hauling of gear and game meat. 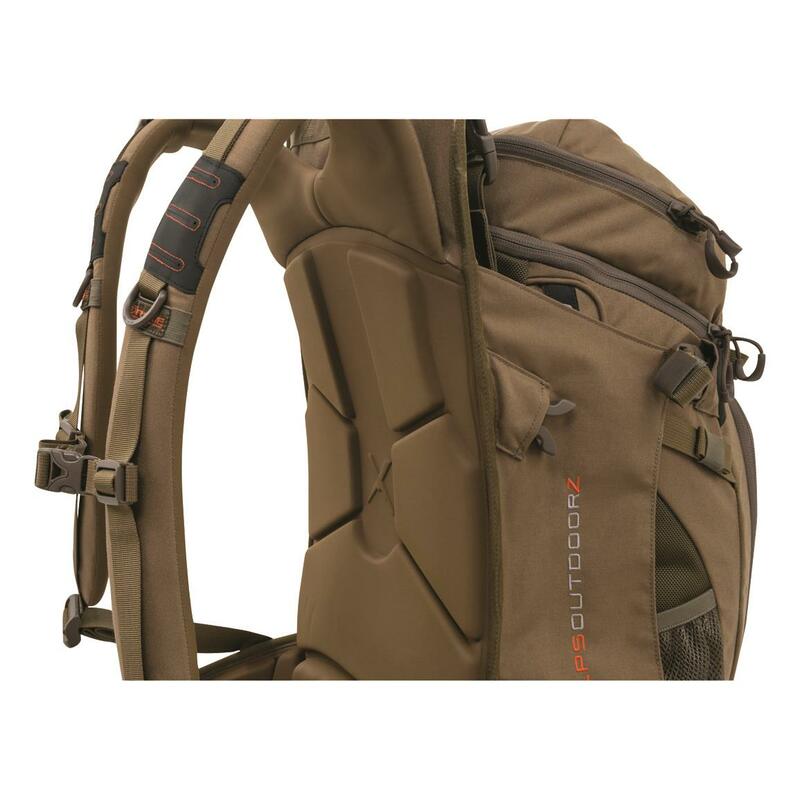 Use the frame independently of the Pack for better meat hauling capabilities, or use them together for hauling loads of gear. 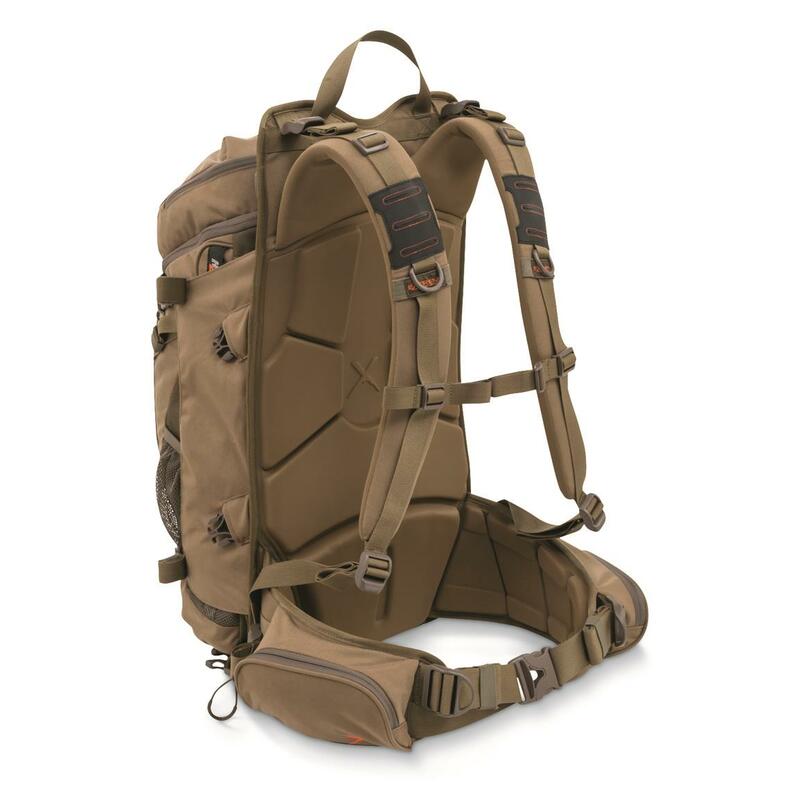 Low-profile Pack has a drop-down pocket for carrying a rifle or bow. 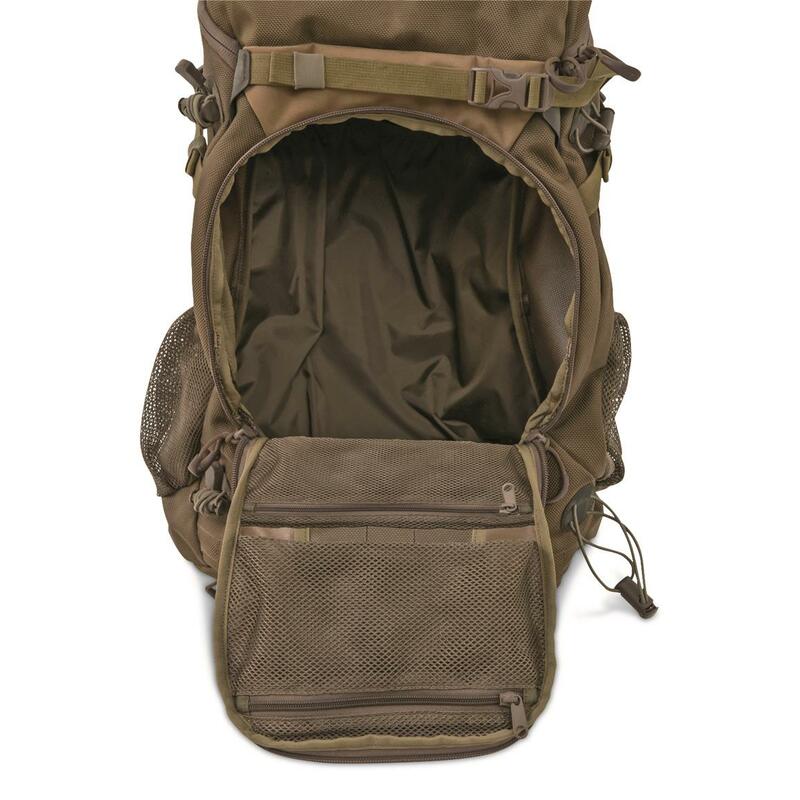 Top loading pack also has a front pocket with direct access into the main compartment. 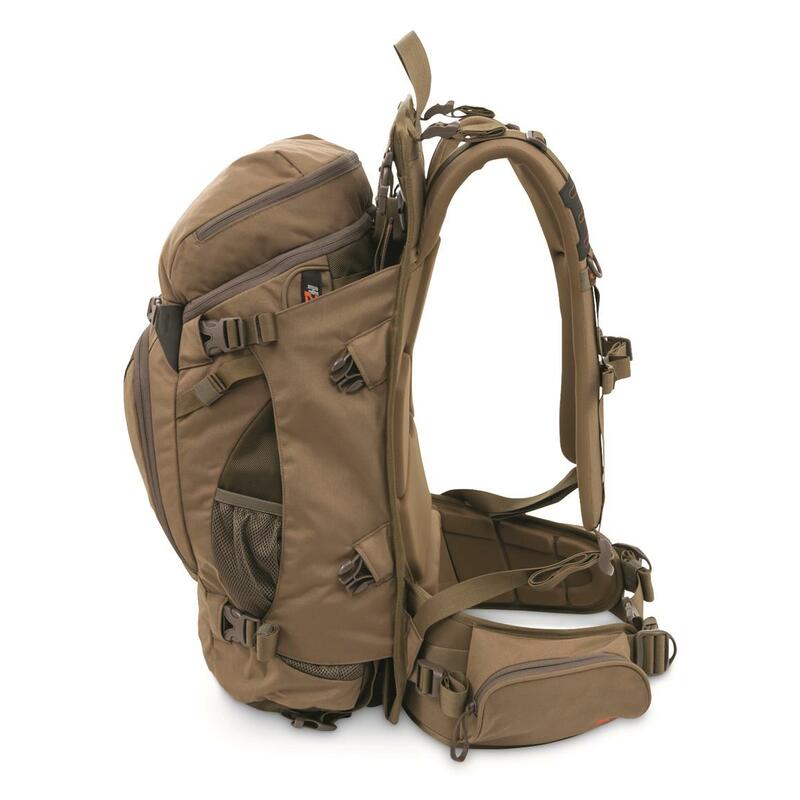 Molded foam suspension and Lycra® shoulder straps make for a comfortable carry. Frame Weight: 4 lbs. 5 oz. 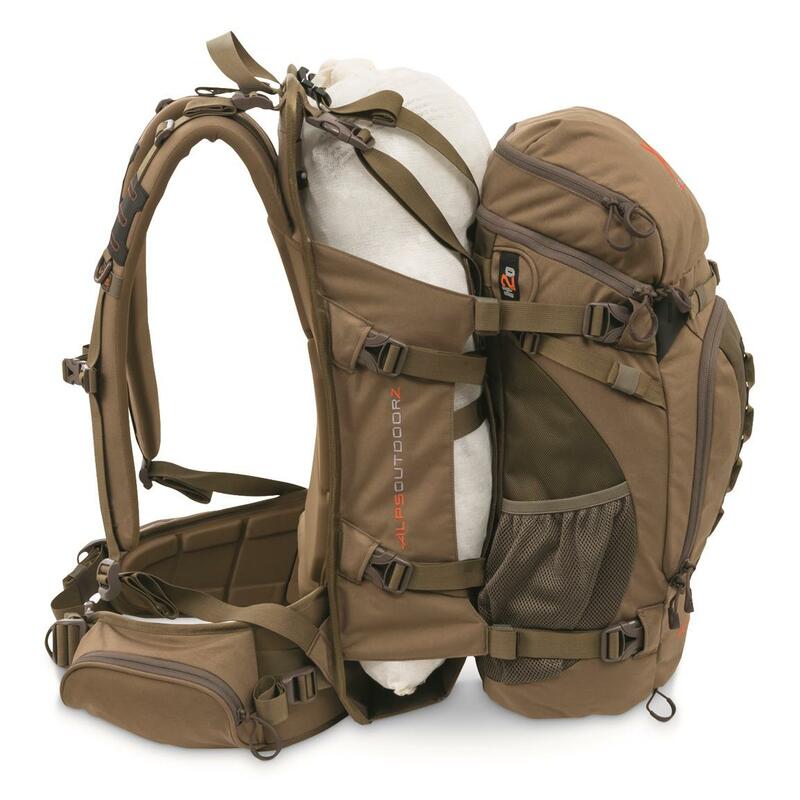 Pack Weight: 1 lb. 13 oz.